The adjustment mechanism leaves a lot to be desired. It simply won't stay tight. The lack of structure also means it always looks crooked, somehow. 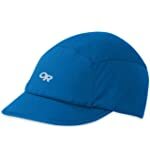 I also have 2 of OR's Swift sun cap. 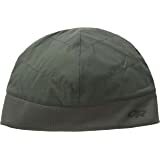 That one is a really nice, high-quality cap, with a good adjustment mechanism. Go take a look at that instead. 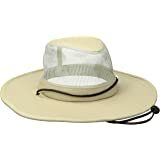 Fits my head well but I had trouble with tightening the sizing strap to keep it tight. I finally doubled the strap and inserted into the buckle which seemed to help keep it in the sizing place. 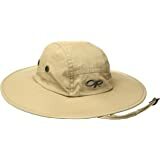 Other than that, nice hat for the price. Very good at wicking away sweat. 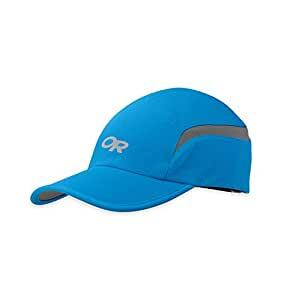 My head sweats like crazy during exercise and this had does the trick for keeping it from dripping into my eyes. My only complaint is that the sizing clip in the back is a little loose, so I usually have to re-size it each time I put it on. That's just a minor inconvenience for a good cap. 2.0 颗星，最多 5 颗星Long bill. Weird. The bill is longer than it looks in the picture making it look kind of funny. It is not useful to me in this way. The longer bill gets in the way of the stuff I'm doing. 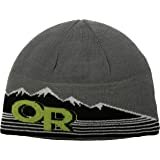 If you want a cap with a longer bill, this one would probably work for you. I like ODR. 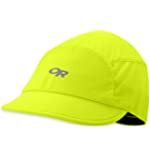 This is a lightweight cap. 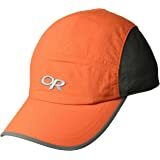 It can be used running, or hiking, or simply to block the sun.